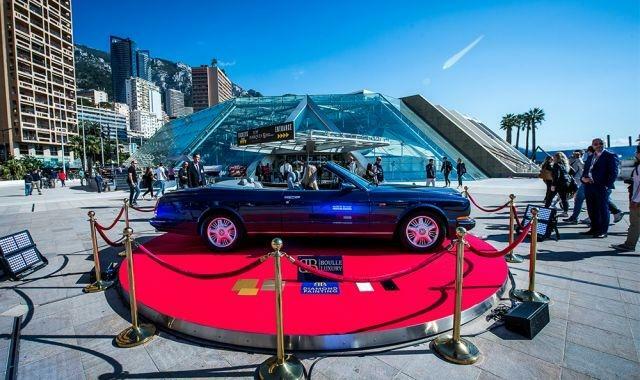 This year's edition of the Top Marques Monaco luxury car show was held April 20 to 23 in the principality, setting the stage for some spectacular world premieres. The Monaco event, billed as the world's most exclusive car show, featured a host of exceptional new vehicles and saw four supercars make their worldwide debut: the Donkervoort G8 RTO, the Calafiore C10, a Charlotte Edition of the Asfané by Frangivento and a Mini revisited by David Brown Automotive. The D8 GTO-RS is the fastest and lightest supercar ever built by Dutch car maker Donkervoort. It is a limited-edition 40-car model (starting at just over €150,000 excl. taxes) that is more powerful than the current range, with improved aerodynamics for even more impressive acceleration. Italian brand Calafiora presented the C10, which has been under development for no less than seven years. It has a lightweight carbon fiber chassis and tops 1,000 horsepower. Another show highlight was Frangivento's special edition Asfané, the Charlotte Edition, named after the Princess of Monaco. This model is directly derived from the concept car unveiled by the Italian manufacturer earlier this year. Capable of topping 300km/h, it's expected to set buyers back at least €1.8 million. British car maker David Brown Automotive presented an original Mini. The firm's Mini Remastered is particularly modern with its LED headlamps and 7-inch touch screen and uses luxurious materials like leather and aluminum. In a different style, the show also featured a Bentley Azure painted with two million diamonds from the Jean Boulle Luxury group, and Vanda Electrics revealed a two-seater all-electric Dendrobium concept car capable of topping 320 km/h. Finally, two futuristic flying cars premiered globally at the event -- the latest AeroMobil and the Pal-V Liberty.